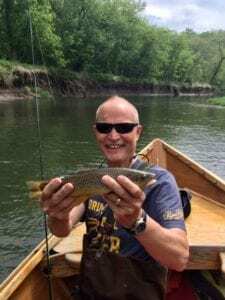 Requiring special radiation at the Mayo Clinic in Minnesota for cancer management, I camped for five weeks on a remote riverside site on the Zumbro river. I prefer nature over hotel amenities. My daily commute South through vast corn and alfalfa fields was 23 minutes. I’d see farmers disking the earth, browsing black and white dairy cows, and the occasional road crossing deer. After counting tractors, cows, and miles, I would enter the small city of Rochester. This is a small town with sky-scraping hospital buildings and hotels (and cranes building more of the same). Mayo Clinic runs like a human machine. Truly, thousands of employees scurry the halls with tasks to perform. Patients navigate to predetermined appointments taking routes a bit more tentatively witnessing the Clinic with marvel in their eyes and hope in their hearts. I would eventually speed my walk over the 5-week course of my therapy, but at first, I had the same trepidation as the others. I walked the uninspired path of livestock herded through fences and up ramp-ways to waiting clinicians with hot branding irons! Not too excited to be a participant! Humbled is the general experience. My moist eyes would blink as I tried to smile at hairless children connected to chemotherapy IV’s pushed in wheelchairs by the drooping shoulders of their parents. Other men and women, either accompanied, or alone read waiting room magazines wanting to get it over with. We changed into the same ill-fitting army green open-in-the-back gowns going to some unimaginable pajama party down that special hallway when our names were called. Periodically, the staff would all line up in the reception area when a patient completed the prescribed course of therapy; that patient had the privilege of ringing a loud gold suspended bell- the bell of graduation and was applauded and handed a lapel pin that says “HOPE”! The radiation oncology department, touting its world famous and exclusive proton beam radiation capability, greeted and cared for me with open caring arms. They wanted to know my story. They were interested in my wife and family. The desk clerks and tech staff asked about medical care in West Michigan. They wanted to tell me Rochester secrets about best restaurants and hangouts… even closely held hot fishing spots! They learned my name and face, shared their stories and generally almost made me look forward to the appointments. In the treatment rooms, it was all business. They would line up my tattoo marks and bony prominence’s with laser beams, then verify positioning with X-ray. Because the targets were in my pelvis, I was “commando” under the gown (no boxers). The young techs, mostly female, were very sensitive to my dignity. I have a urostomy. It became immediately apparent that they had to move the urine filled bag on my lower abdomen to see my tattooed middle to focus the top positioning laser. The gals would apologize, then gently lift my “StomaCloaked” appliance bag to peek underneath. They knew my cancer story, so they had similar trepidation to go looking “under the gown”, to my trepidation of lying there with an ostomy. My StomaCloak was perfect for my coverage, and for their concerns. They told me that many of their patients had ostomies, and not uncommonly they were handling those full bags to peer underneath. I’m hopeful they will spread the StomaCloak story of how much easier it made our daily encounter. Rochester was fun. 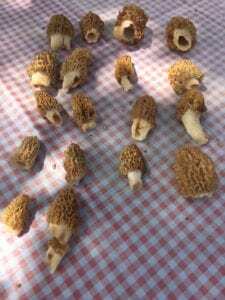 I had a few chances to catch trout in stony streams, chase turkeys in the fields, read a few books, and find morel mushrooms. Though the hiatus was a good sabbatical, I’m happy to be back in the saddle again!